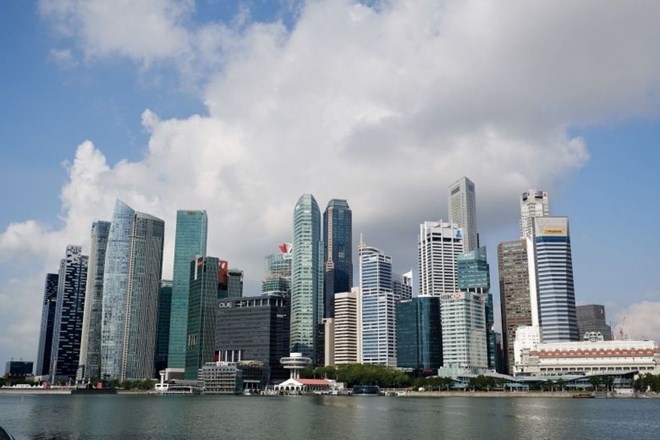 The Monetary Authority of Singapore (MAS) on December 12 announced the results of its recent survey that Singapore’s economy will grow only 2.6 percent in 2019 due to the negative impacts of protectionism and a trade war between the US and China, the world’s first and second largest economies. The central bank also predicted this year’s 3.3 percent growth for the leading economy of ASEAN, higher than 3.2 percent forecast previously. The manufacturing sector is expected to expand at a slower pace, with economists surveyed forecasting a growth of 7.4 percent, slightly down from their 7.6 percent prediction in September's survey. The finance and insurance industry is projected to grow 6.9 percent, a slight increase from the 6.7 percent growth predicted previously. Meanwhile, the MAS survey showed forecasts for both headline and core inflation in 2018 at 0.5 percent and 1.7 percent, respectively. For 2019, inflation is projected to come in at 1.3 percent and core inflation at 1.8 percent. China is now the largest trade partner of Singapore, with two-way trade hitting 54 billion USD last year. Meanwhile, the US ranks fifth among the Southeast Asian country’s trade partners with over 24 billion USD in trade value.